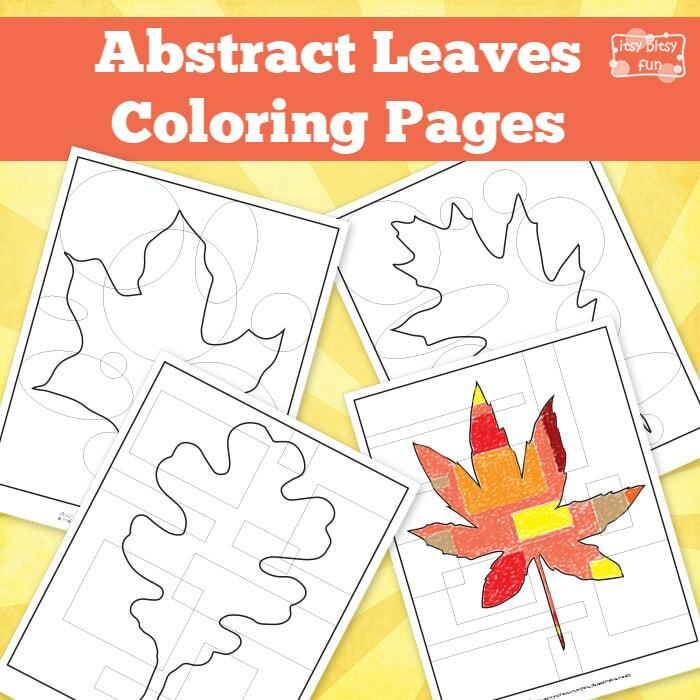 Let’s have some fun coloring these free Abstract Leaves Coloring Pages. These fabulous Fall Coloring pages will keep your kids occupied for a while. As these are just a bit abstract your kids can really get creative with coloring – the sky is the limit – there is no limit to stick with fall colors only! 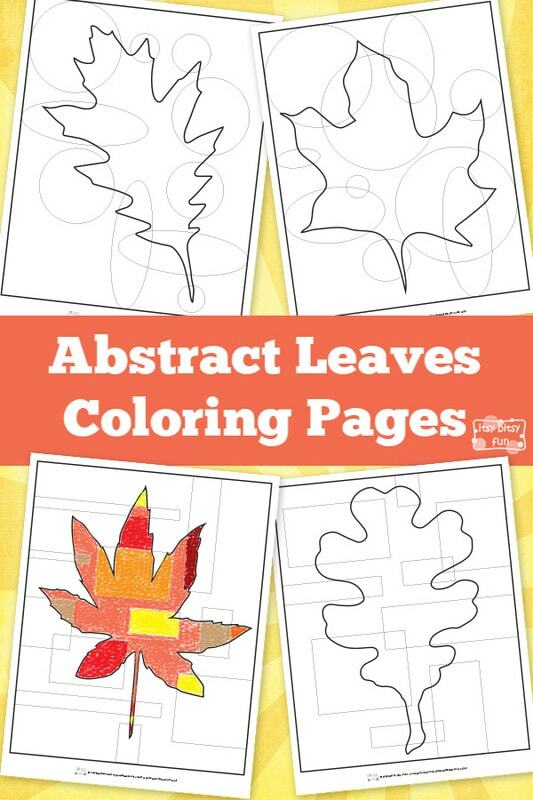 Leaf coloring pages are great to help kids learn about different kinds of leaves and treas! Lets do some abstract coloring! Abstract coloring is fun for kids in preschool, kindergarten and older! This collection has 4 pages of fall leaves. There are of course no rules on how to color each leaf, but the general idea is to color the parts of each leaf with a different color. You can pick some fall colors such as red, orange, yellow and brown but if will certainly look more fun if you go beyond those. Maybe you can start by drawing a thicker line around each one of the leaves to emphasize their borders. Then you can color only a few squares/ellipses in the picture differently and do the other ones or if you like – or even leave them blank. Continue with coloring the rest of the leaf and later on, if you feel like it, color the background of the picture. When your kids finish, these colored printables will make a nice decoration in your home and your children will be happy and proud to see them on the wall. So, get your crayons running and have fun! Get your printable Abstract Leaves Coloring Pages here. Learning is great but sometimes you just want to have some magical fun, no strings attached and that is when these fairy coloring pages will come in handy.